Ellie Floral Print Scarf Only $9.95! You are here: Home / Great Deals / Ellie Floral Print Scarf Only $9.95! Sometimes your best accessory is a nice lightweight scarf. Adds a pop of color at your neckline and can drastically upgrade any outfit! This scarf is ultra-soft and has a fun undone hem! 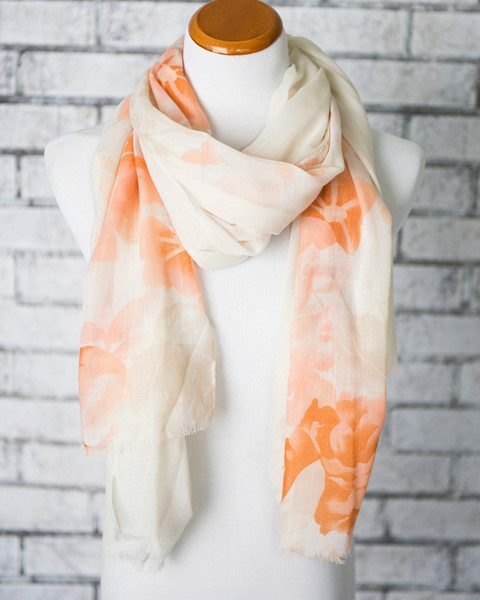 Get the Ellie Floral Print Scarf Only $9.95! Going Fast – some colors already sold out!